With several Grammy and Americana Awards under his belt,Jim Lauderdale‘s penchant for imaginative roots music encompasses all that is today’s musical landscape. His combination of Country, Bluegrass, Soul, R&B and Rock has helped to pave the way for the current Americana movement. For several decades, Jim has written songs for and worked with some of the finest artists in traditional and modern music including Ralph Stanley, Elvis Costello, George Strait, Buddy Miller, Lucinda Williams, Robert Hunter, John Oates, Solomon Burke, Lee Ann Womack, Old Crow Medicine Show, Mary Chapin Carpenter, Blake Shelton, the Dixie Chicks, Vince Gill, Patty Loveless, and Gary Allan among many others. He also co-hosts The Buddy & Jim Show weekly radio program on SiriusXM with Buddy Miller, and is a co-host forMusic City Roots, the weekly live radio show, podcast and PBS series. Recently, the Americana Music Associationhonored him with the WagonMaster Lifetime Achievement Award presented by George Strait. Jim has certainly earned it, having released a staggering 29 albums with the full intention of hitting #30 in 2018. 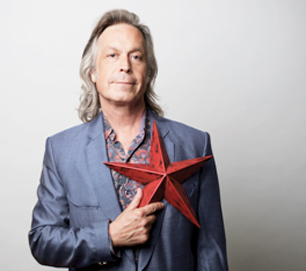 Whether solo, band or in his Bluegrass ensemble, Jim Lauderdale is a triple threat performer, songwriter and musician. Jim’s new album, which will be released in August on Yep Roc, has a very interesting story. In 1979 Jim completed an album with Roland White, whose mandolin work with Bill Monroe, Lester Flatt and the Kentucky Colonels helped revitalize and reimagine acoustic roots music. It was an album that, in a just and righteous world, would have taken its place in bluegrass history with tradition-drenched, progressive-minded classics by J.D. Crowe and the New South, The Seldom Scene and the Kentucky Colonels. But instead, the thing went unreleased. And then, of course, the master tapes got lost - for 39 years. It was the first bummer in an epic series for Lauderdale. And so it hapened after 39 years of ups and downs in the music business, Jim happened to stop in to the Station Inn, the world’s most storied bluegrass tavern. Roland White came by to see him and casually mentioned, “I think my wife found the tapes to our album in a box in our basement.” Whaaat? And indeed she had. On a quarter-inch, reel-to-reel. Meanwhile, Lauderdale had been working on some new songs, with new-century music heroes like Chris Scruggs, Kenny Vaughan, Jay Weaver, and John McTigue. So that all became an album called “Time Flies.” - Don’t it, though?